Kitchen Exhaust System Cleaning – Aqua Pro Inc.
Each year over 11,000 structure fires are reported by eating and drinking establishments, resulting in millions of dollars in damage. Half of these fires originate in the cooking area and then explode into the exhaust system. By maintaining a grease-free and fire-safe kitchen exhaust system, you can protect your business from this kind of fire damage. 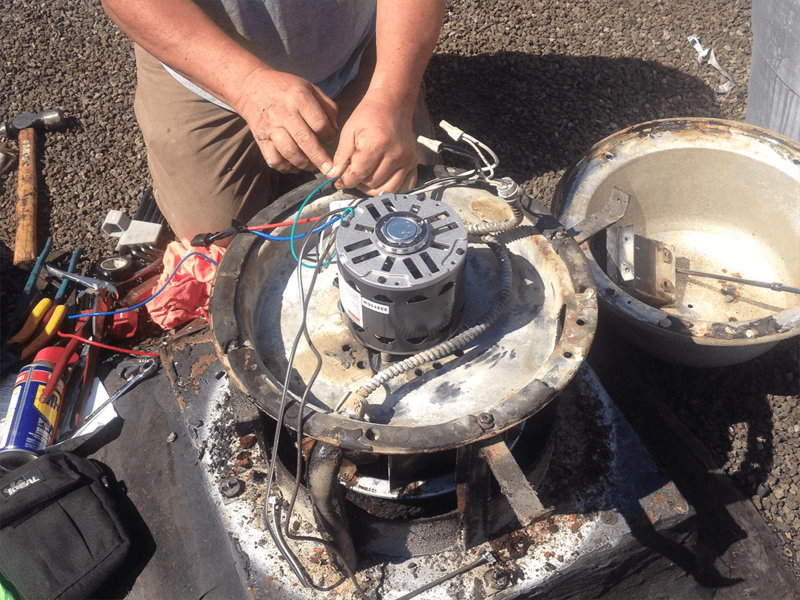 The trained and certified technicians at API provide efficient removal of cooking grease from exhaust hoods, filters, duct-work and exhaust fans. API can also help you with new and improved technology like the installation of an Exhaust Fan Hinge Kit which allows easy access for total cleaning and inspection.